Alright, I will just fess up now. We all know I tend not to go for the Hershey bars so what caught my eye about this one? I would like to tell you that it was because the "crisps" in the bar are made with corn rather then rice and that's what got my attention. But no... What really did it was the fact that the bar had Brad Paisley on the label (the corn bits get second billing here). I am just saying that man has an open invitation to check me for ticks any day. 2. It was going to be more like Corn Pop's cereal. Light airy bits of corn with the sugary glaze to them. That not a lot would be different from a regular Hershey bar. And guess what option it turned out to be. If you said option 3, clearly you read this blog a lot. It was kind of weird because you can see little bumps of "crispy bits" in the bottom of the chocolate. And when you bite into the bar it is indeed crispy. It's just that there is no flavor whatsoever that goes with the crunch. As gross as this may sound I even tried to use the heat in my mouth to melt all the chocolate off of corn bits and after that the best I could come up with is that it tasted in the smallest way it could be considered a flavor, like that of stale Corn Chex. It's not that it was bad. But it was weird. Chocolate wise it is exactly like that of the classic Hershey bar. A little too sweet for my taste with a slightly grainy texture. About the only thing I can say is this bar has made me wonder if chocolate covered Corn Nuts would be a good thing or a bad thing. The shallowness of this review is terrible ;) :P This looks like Hershey's answer to the Nestle Crunch ... neither of which are all that spectacular by the looks of it! 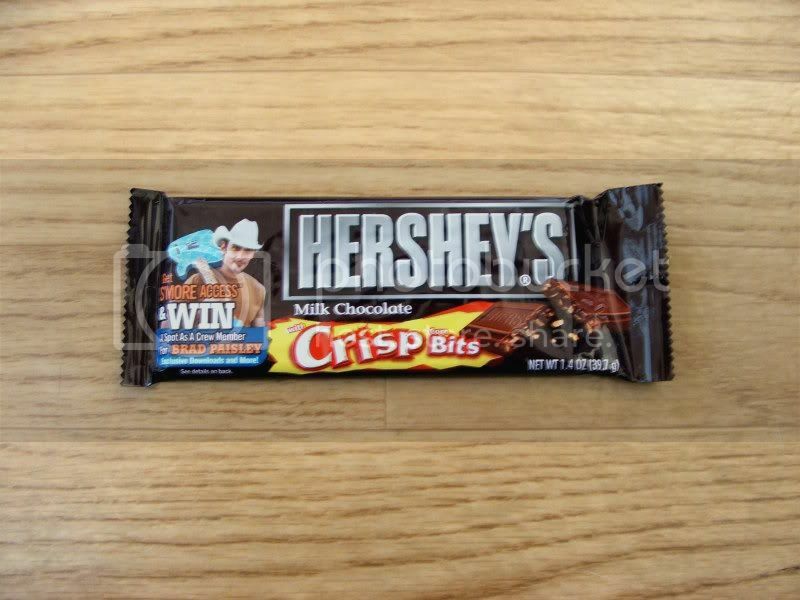 This candy bar is just repackaged Hershey's Krackle (sp?). You know the ones you can still get in the bags of minitures. Even if the bits are corn vs. rice... they taste identical.